In October of 2012 I began Embracing My Shadow. It was a year after my last major depressive episode and I had a deep desire to share my story. I wasn’t quite sure why I should share or if anyone would even care. I just knew that I had to get things out of my head and my heart. I had to give language to my thoughts and release my feelings. I had to confront some things and begin the difficult process of letting go. I should mention that I have always been someone who was told that she shared just a little too much. I was too vocal in my love for folks. I was too open when it came to my thoughts and emotions. I was too deep when it came to my intellectual capacity and philosophical musings. I was too sensitive when it came to my interactions with others. What’s ironic about these accusations (or some might call them critiques) is that I never really shared the darkness and struggles that lurked beneath the surface. Going through my latest bout of death, disease and despair, also known as the reality that is life, I realized that my ongoing cycles of getting overwhelmed, going into hiding and flirting with the reality that is suicide were all directly connected to the side of myself that I didn’t want anyone to see. I was determined to keep this part of myself from the light of day. This was and is my shadow side. I got the language of shadow from Debbie Ford and my time serving as a hospital chaplain. In simple terms, we talk about one’s shadow as the part of oneself that at first glance is dark, desperate, ashamed and compiled of all the tragedy and suffering in one’s life. It’s the part of yourself that if not attended to, can overtake you and not in good ways. It’s the part of yourself that replays the negative self-talk that tells you that you aren’t good enough, lovable enough, strong enough, smart enough….ENOUGH. It’s the part of yourself that keeps you from sharing your whole self, from being vulnerable. You just know that if anyone else ever encountered this part of yourself, they would pick up and run the other way and you would wither and die in a pool of shame. This is the shadow. This is the side of myself that I not only shared but that I didn’t acknowledge. And I’ve learned something in my 32 years – not embracing your shadow can lead to death and destruction and cause you to act out in negative ways, engage in negative relationships and perpetuate negative ways of being that are life-taking and not life giving. But worse of all, not embracing your shadow can impede you from embracing the fullness and beauty of who you are. And almost two years later, I’ve realized what Embracing My Shadow is really about. This began as a selfishly cathartic exercise of a woman who was struggling with depression and anxiety. My tag line was, “One woman’s journey of accepting her WHOLE self – depression, anxiety and all – and helping others to do the same.” It grew out of a desire for me to share my journey with mental illness and it quickly became evident that I was not the only one with a story to share who was seeking support. It’s been almost two years and it has grown into a community of Shadow Lovers, all of whom have varying degrees of relationship with their shadow. It’s time to take the next step, to start a new chapter. Embracing My Shadow is no longer just about a particular aspect of my journey. It’s broadening as I have come face-to-face with my core issue; the thing that undergirds many of my mental health struggles and issues in intimate relationships. That thing is a lack of radical self-love. 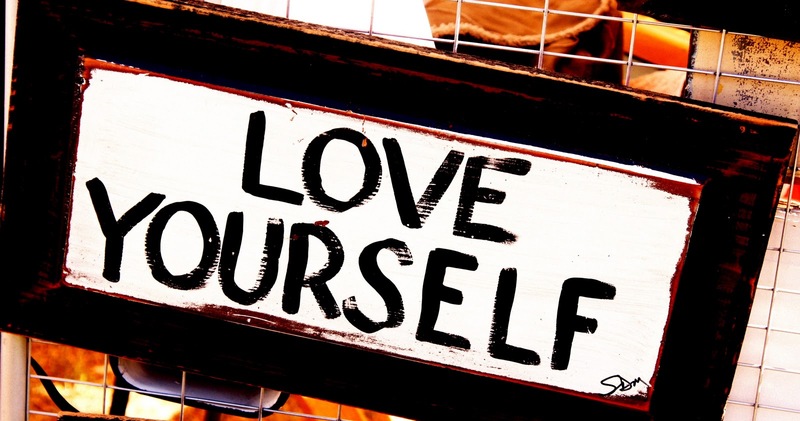 How can I accept love or even give love – from God or from others – if I fundamentally don’t love myself? Embracing My Shadow is about one woman’s journey of accepting her WHOLE self – of seeking radical self love and helping others do the same. This is my call. This is where this journey has led me. I hope you are able to join in on this, because Lord knows, I can’t do it by myself. And remember, dear Shadow Lovers, WE are not alone. This entry was posted in Life, Love and tagged acceptance, faith, Healing, self-love.